It’s International Cat Day! I’m personally a dog lover but I think every other person on my estate sale team is a cat lover, so in their honor I decided we needed to partake in International Cat Day. How better than to scour the net for some drool worthy art you can add to your home decor right now. These gorgeous pieces have this dog lover considering a new addition, albeit a stationary one, to our home decor. Sorry guys, I have expensive taste!! The good news is you can find a lot of cat inspired art at estate sales for a small fraction of what these pieces cost. However, if you feel like throwing down some good hard cash on just one I would put my money on the Art Deco cat sculpture from Chairish. 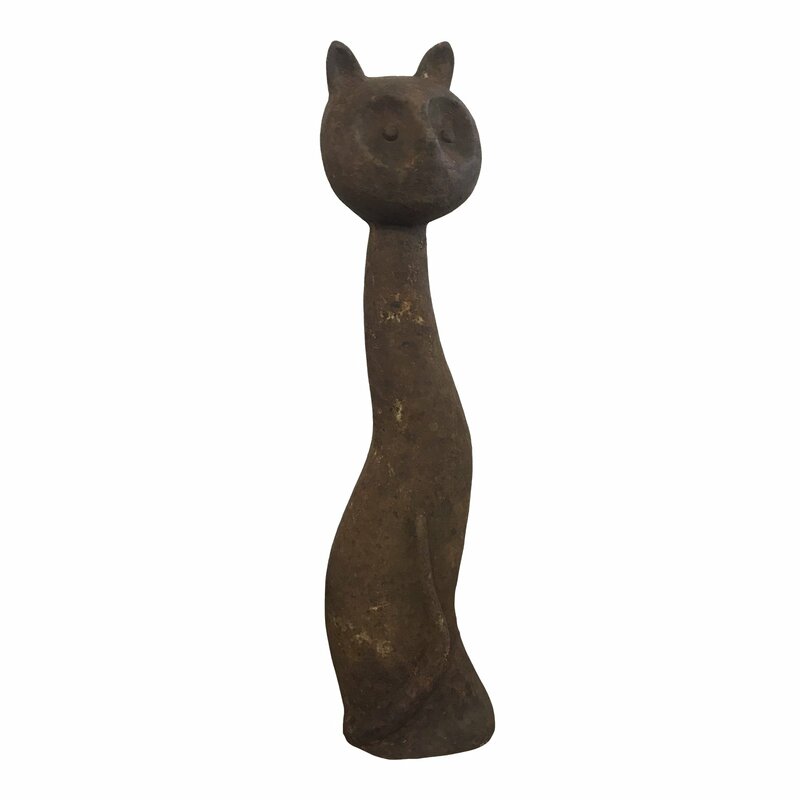 1940’s Art Deco Cat Sculpture, available at Chairish, $600. 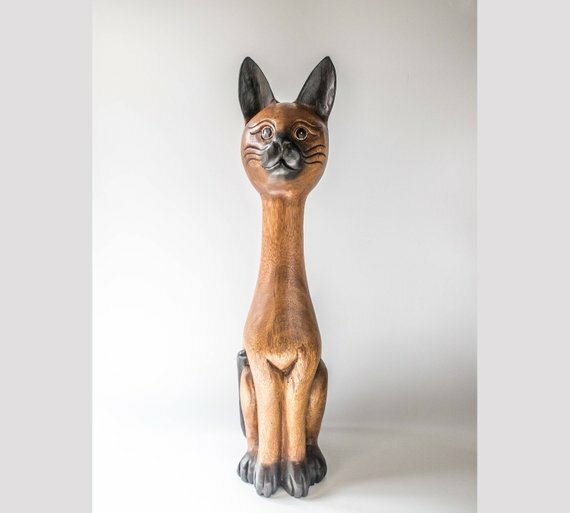 Wooden Folk Art Cat Sculpture, available at Etsy, $200. 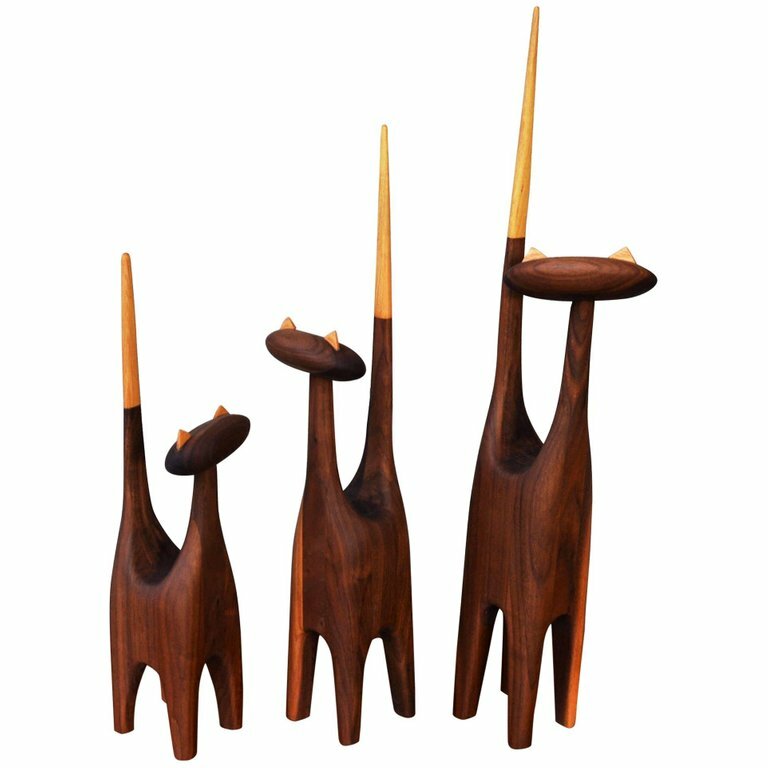 Tyler Fritz Danish Modern Inspired Cat Sculptures, available at 1st Dibs, $2695. 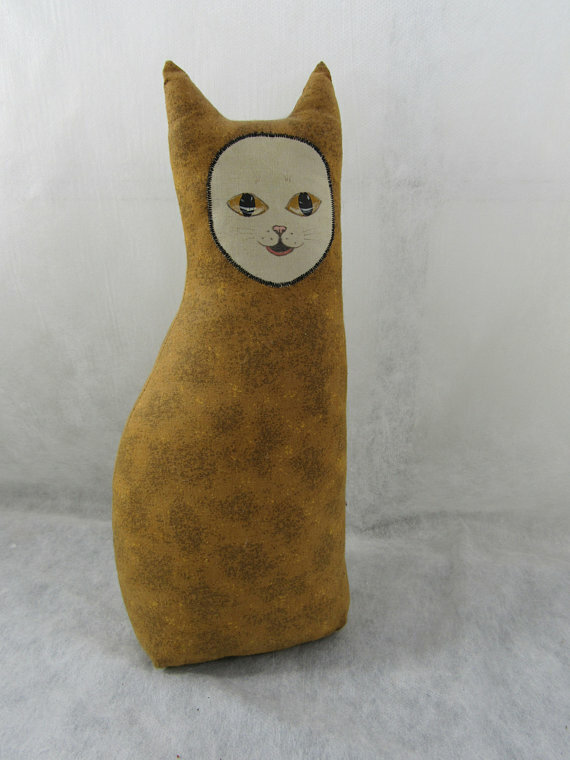 Americana Fabric Cat Door Stop, available at Etsy, $12.50. 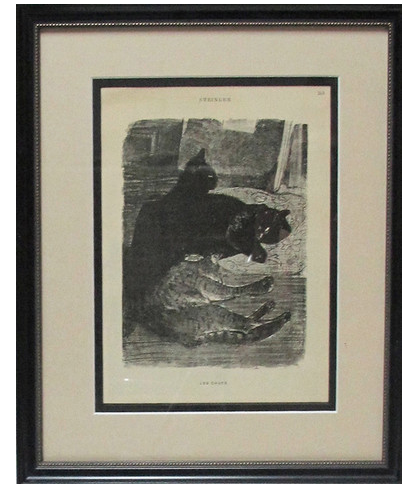 French Art Nouveau Cat Print, available at Houzz, $699.